Purobio Lip Brush n°6 is perfect for applying your lipstick without burrs. With synthetic hair, its fine brush allows precise contour definition and fluid lip colouring. Simple application and easy to control, your mouth is gorgeous! The PUROBIO Vegan Lip Brush is perfect for a sensual mouth! 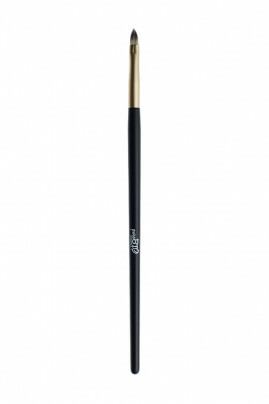 For a long hold of your lipstick, use your lip pencil to draw the contour from the natural outer line. With the Purobio Brush n°6, remove a little of your lipstick from the upper and lower lips, starting from the center and pulling towards the corners.